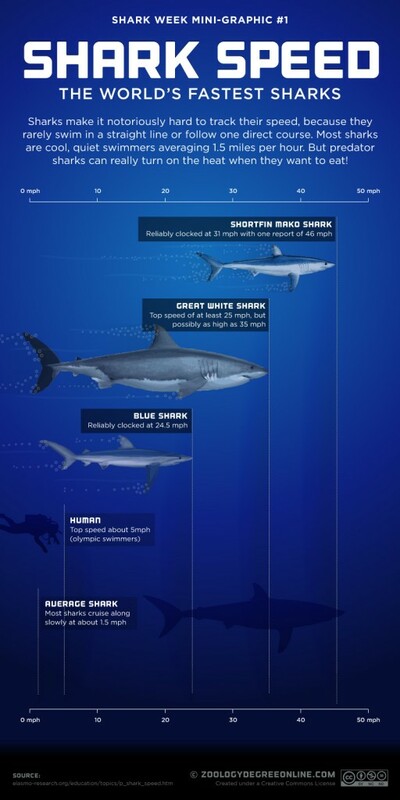 Just how fast are sharks? Sharks make it notoriously hard to track their speed, because they rarely swim in a straight line or follow one direct course. Most sharks are cool, quiet swimmers averaging 1.5 miles per hour. But predator sharks can really turn on the heat when they want to eat!